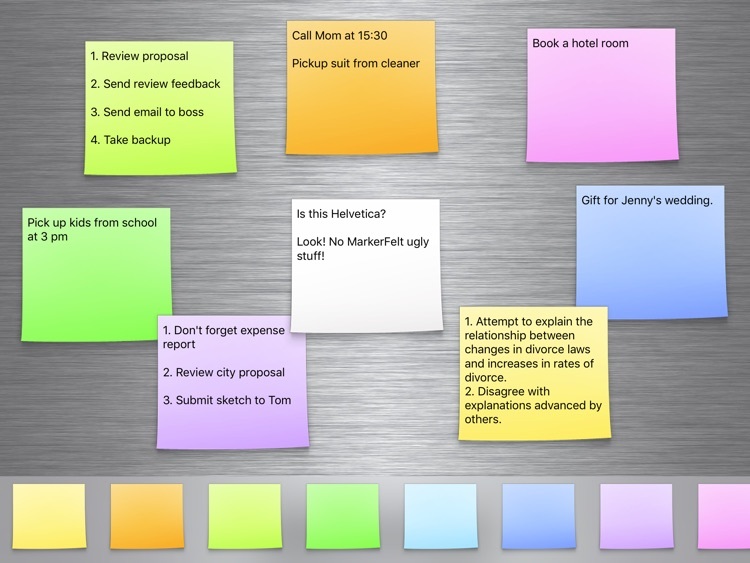 Sticky notes are always useful for capturing those quick thoughts and placing them to easily deal with later. 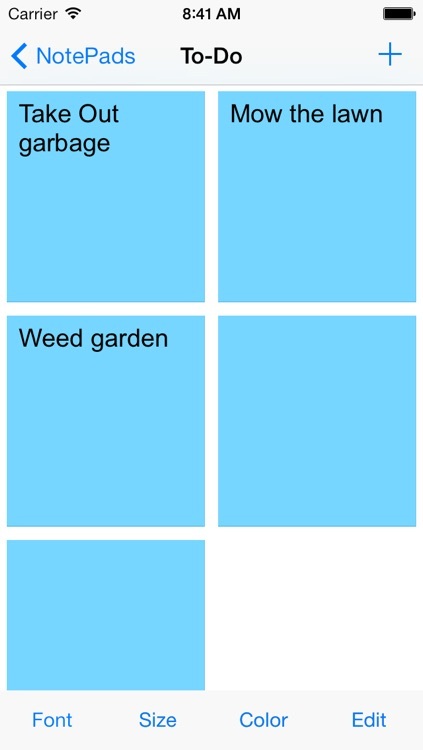 These apps are there to give you that experience. • iCloud Synchronization between iOS and MacOS X! • Checklist style notes! 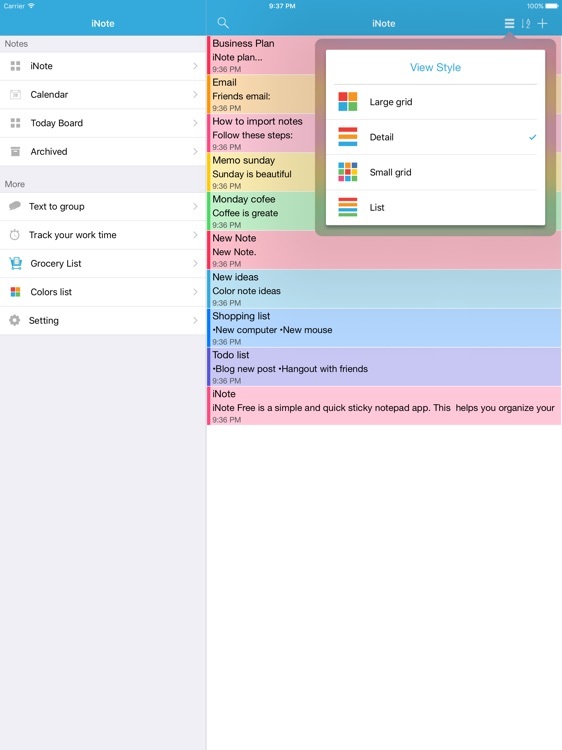 Manage your tasks directly on notes. • A bit of advertisements. 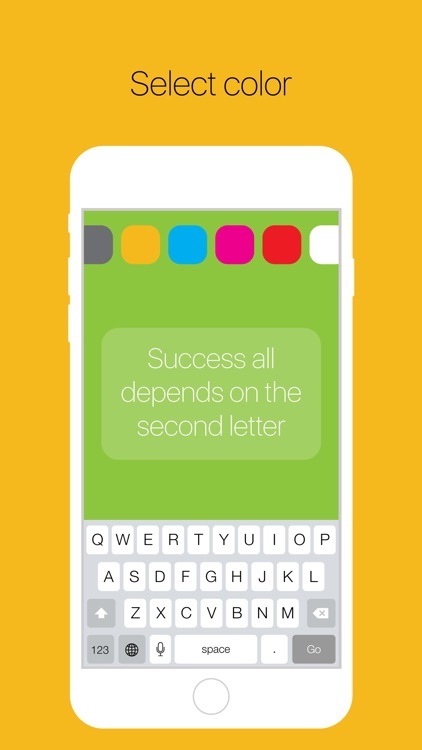 Get your to-do list under control with this productivity app. Check out the NEW CHRISTMAS BACKGROUNDS today !! Easy to write, Easy to stick! 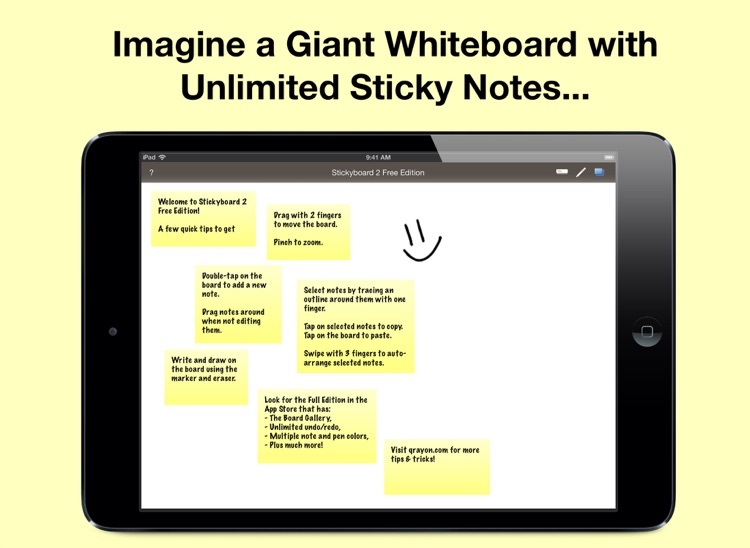 We had searched for the perfect simplicity and the speed as we use the sticky note. 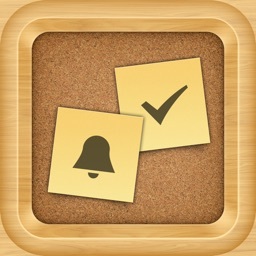 Try our sophisticated "Quick Memo+ " in your iPhone. ■ Please read below about the auto-renewing subscription nature of this product before purchasing it. 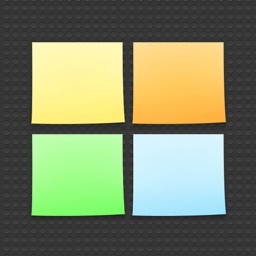 A simple sticky notes app and Today widget. 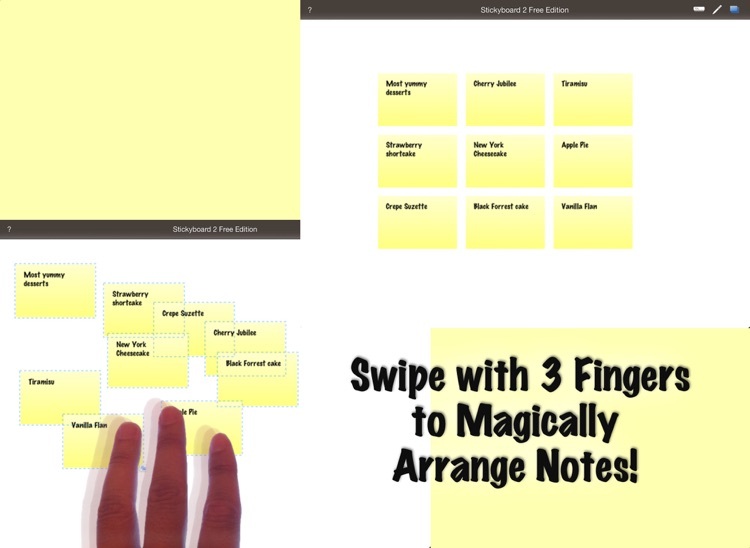 iNote Free is a simple and quick sticky notepad app. 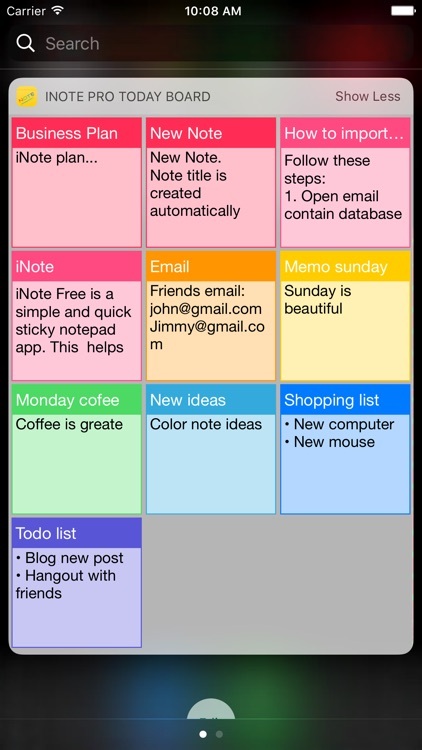 This helps you organize your notes, memos, messages, emails, shopping lists, check lists and to-do lists by COLOR. 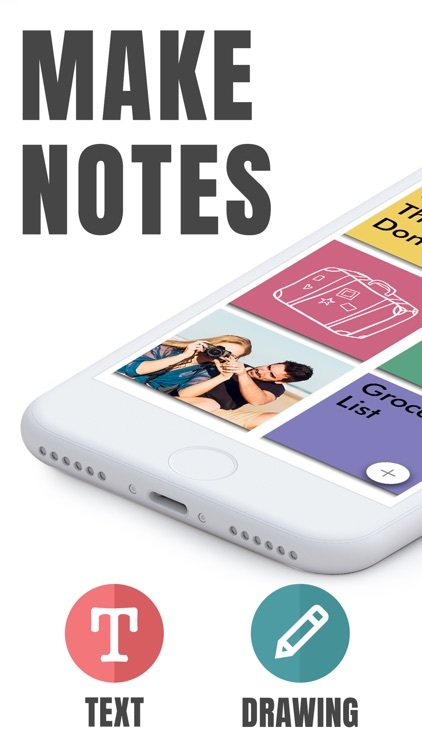 Taking color notes with iNote is never easier than before. 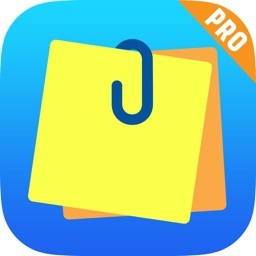 iNote Pro is a simple and quick sticky notepad app. 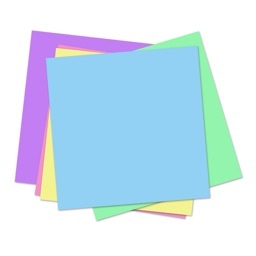 This helps you organize your notes, memos, messages, emails, shopping lists, check lists and to-do lists by COLOR. 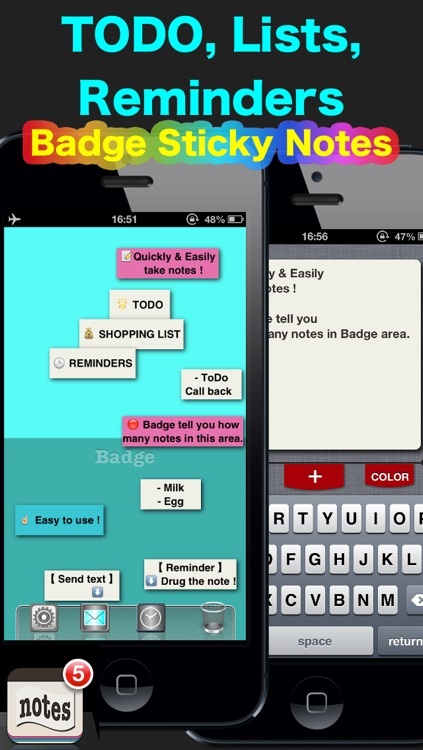 Taking color notes with iNote is never easier than before. 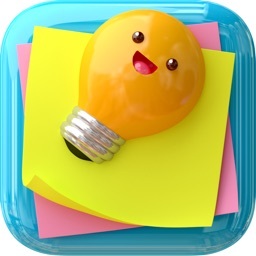 Light Notes is a stunning app which enables you to manage your sticky notes in an easy and intuitive format. 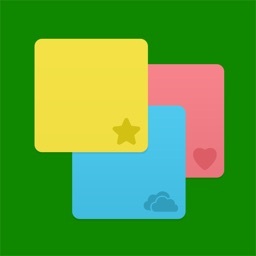 Keep track of all of your important ideas and events with this colorful productivity app. 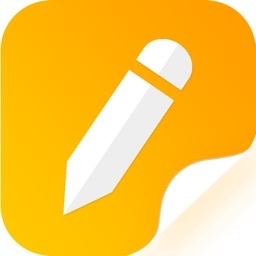 Memo Notes is an awesome note talking application. 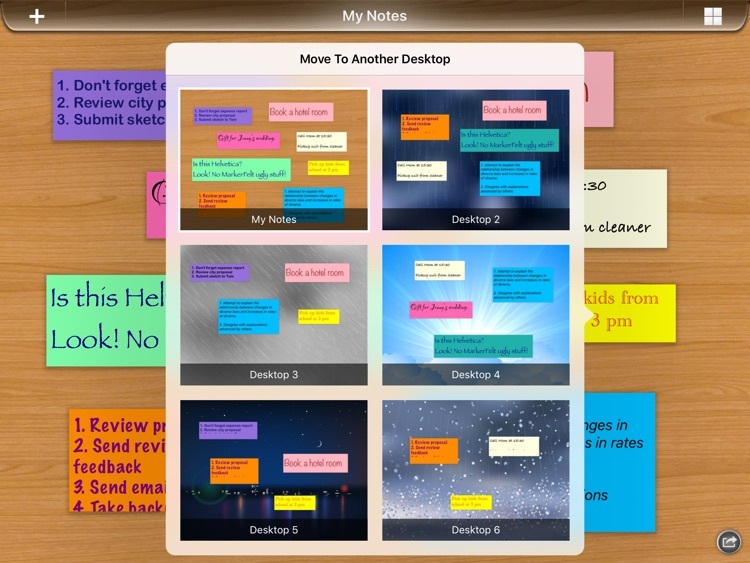 It lets you keep notes on your desktop. 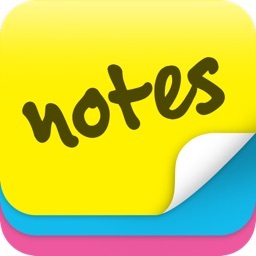 Use a sticky note to jot down reminders, lists, or other information. 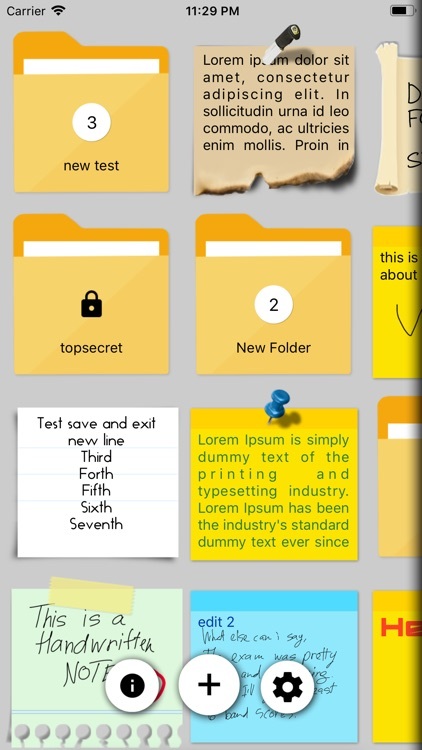 • Format text using different fonts and font sizes. • Add emphasis with bold and italic text styles or color. 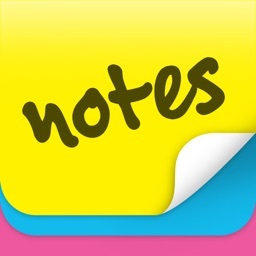 Notables - sticky notes on the go! 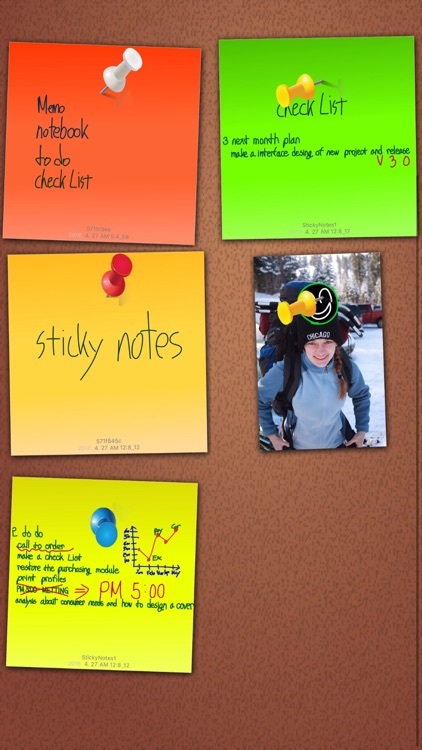 xDev Studios brings you sticky notes to you iPad! 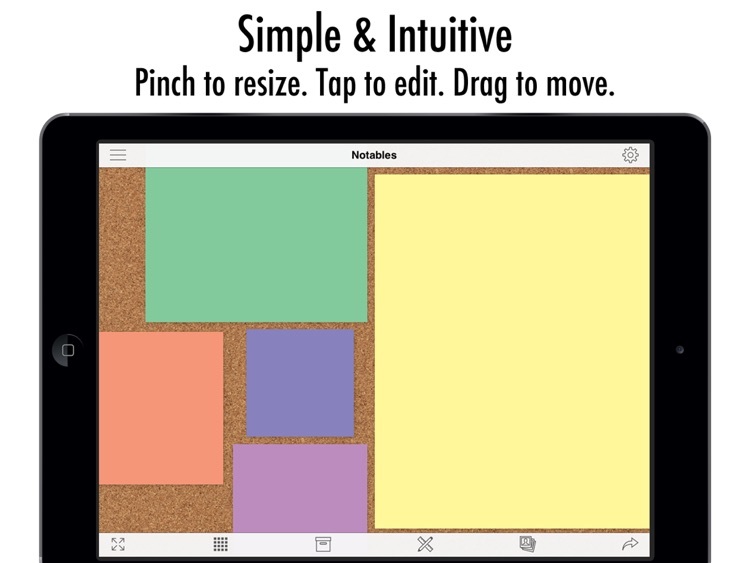 Use this simple and intuitive application to jot down notes, create reminders and lists, brainstorm ideas, organize your thoughts, help with groceries...the possibilities are endless! 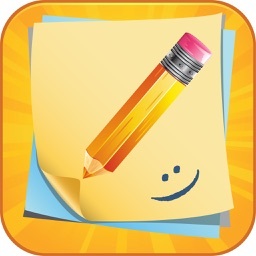 Notables allows you to create sticky notes in a fun and intuitive way...give it a try! 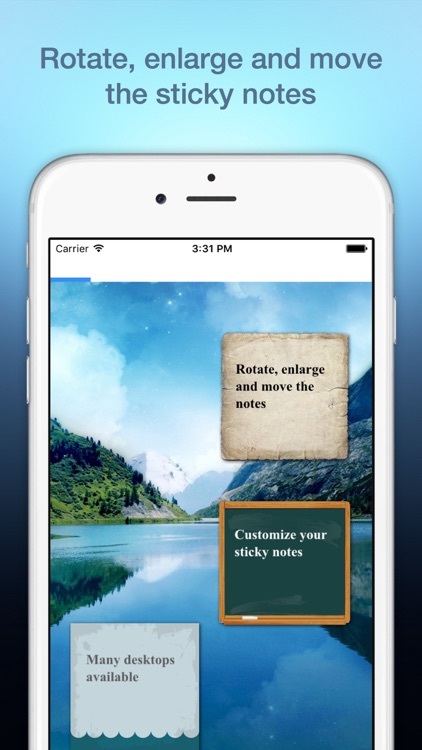 JOIN OVER 4,000,000 USERS IN DOWNLOADING THE BEST NOTES & REMINDERS APP IN THE APP STORE! 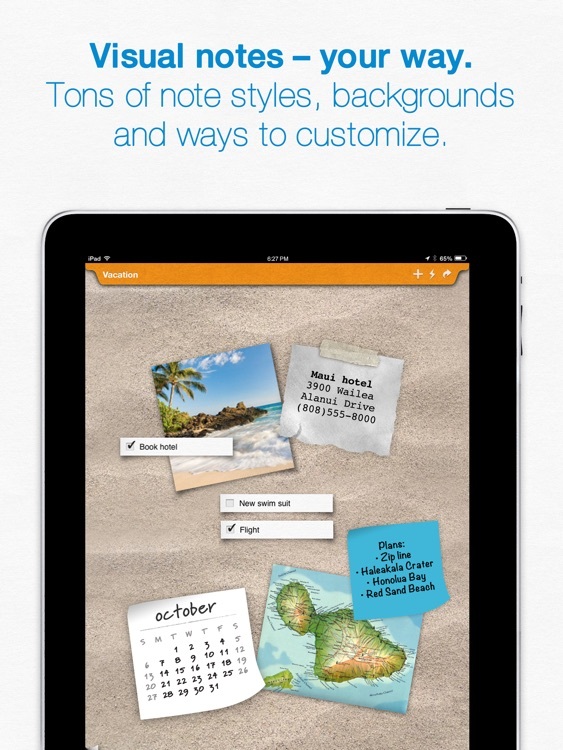 You can freely personalize text, notes and background choosing among endless possible combinations. 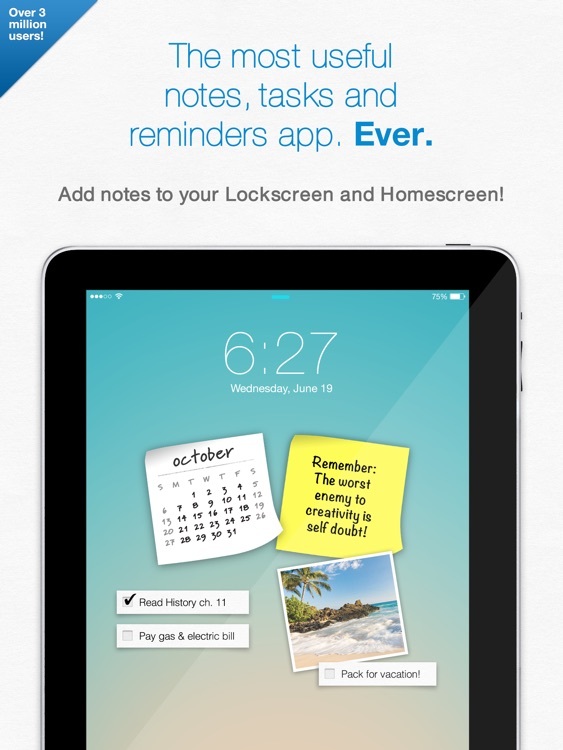 Rotate, enlarge, move and share your notes at a speed never reached before! 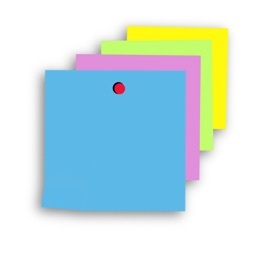 Badge Sticky Notes allows you to quickly and easily take notes. Just “DOUBLE-TAP” and ”DRAG & DROP " ! 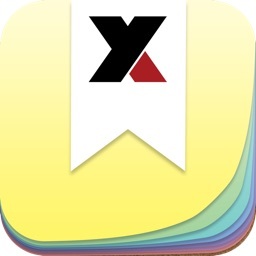 JOIN OVER 3,000,000 USERS IN DOWNLOADING THE BEST NOTES & REMINDERS APP IN THE APP STORE! • Simple drag to add the notes. 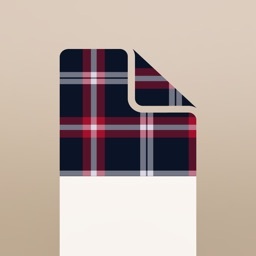 • Simple drag to move the notes. • Double tap to edit the notes. 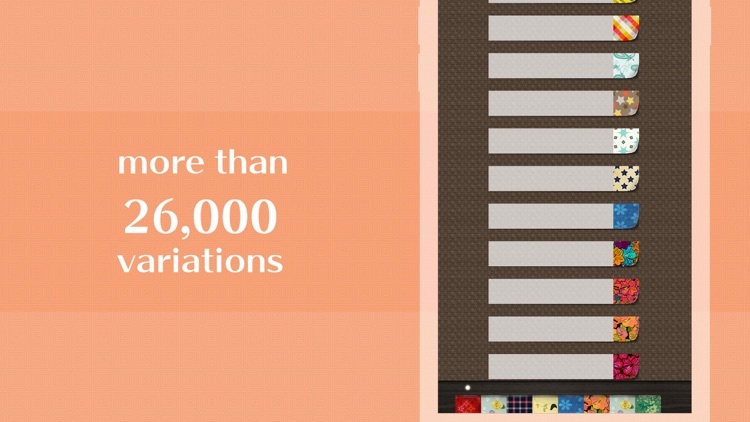 • Long press to show action menu: Edit, Copy,Move, Duplicate, Color, Email, Delete. with simple and awesome gallery interface. 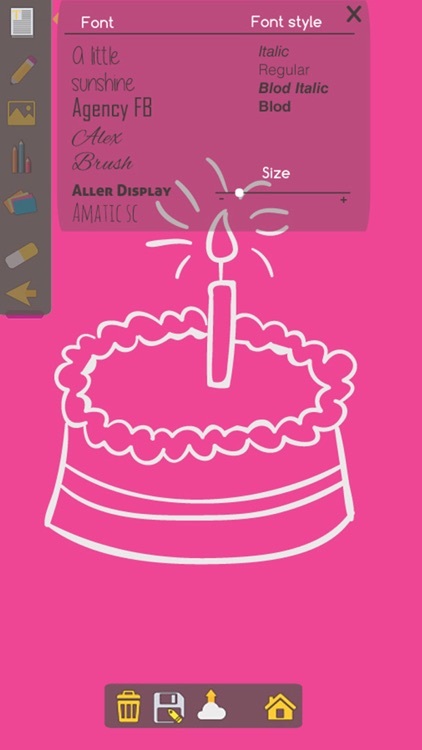 make beautiful notes and memos with professionally designed coloring paper styles. thank you for your support ! 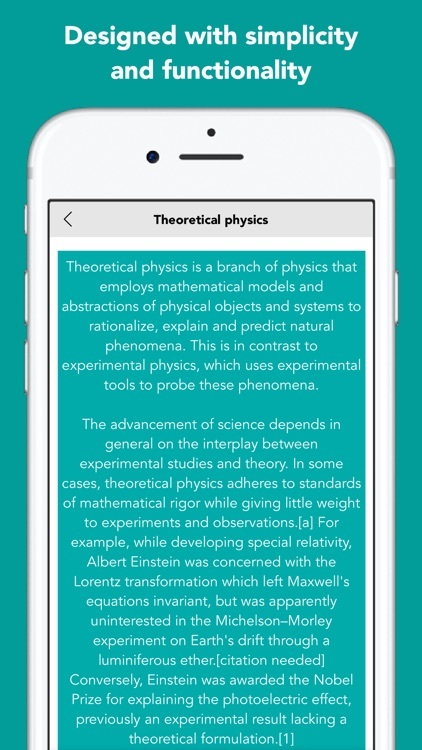 relax and wonderful digital experience on iPhone and iPad ! 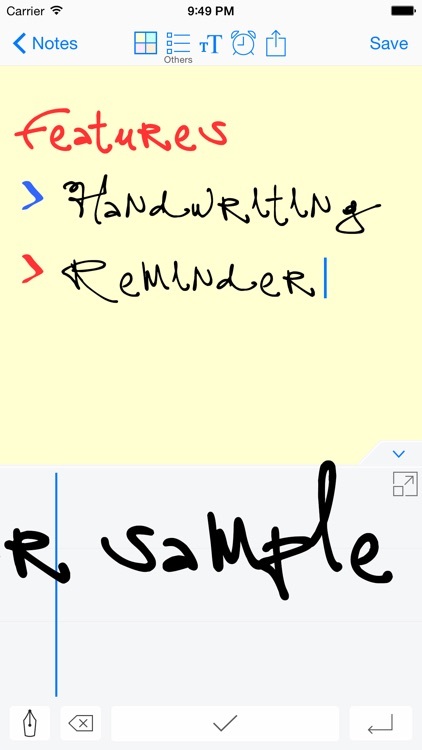 Write quick notes on your screen. 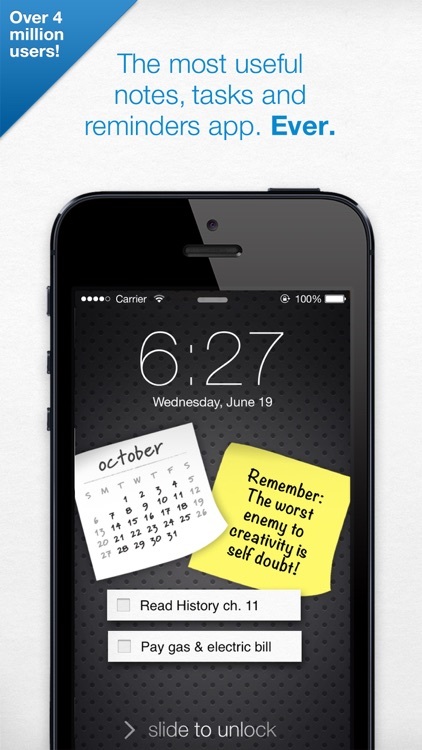 Put your reminders, quotes and important stuff right in your lock screen. 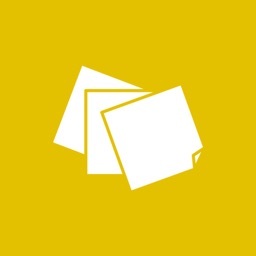 "Use our practical and simple notepad app to write down your ideas, create shopping lists or to-do lists and organize them. 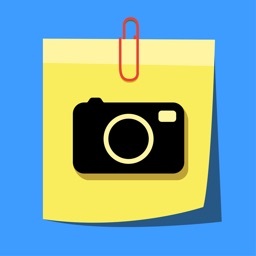 Capture a thought or list for yourself! No pop-up ads. No tricks. Just a free easy to use app. 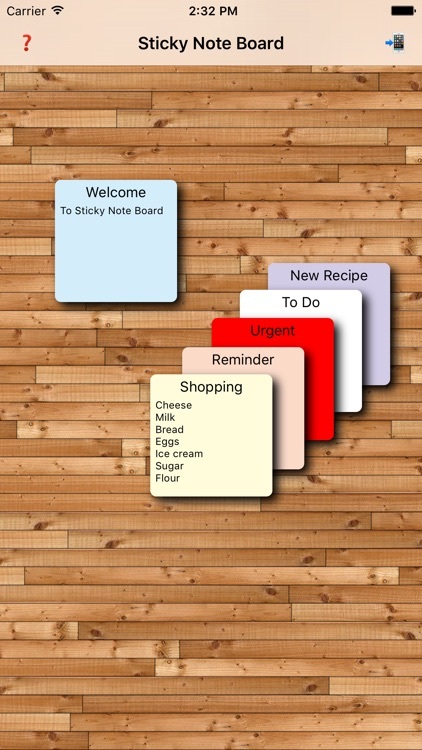 Sticky Notes Board is as its name suggests, a digital board for you to create and position sticky notes on. 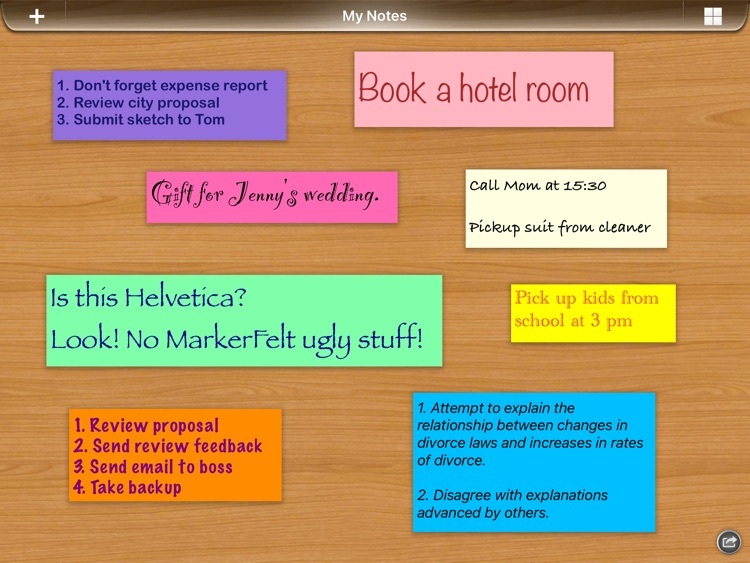 Simple, intuitive touch gestures allow you to drag, select, delete, create, edit, and customize existing sticky notes. 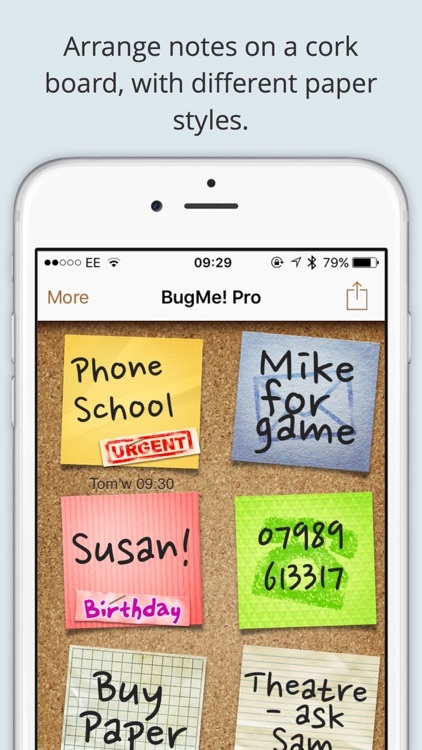 Do you keep forgetting important meetings, dates etc? 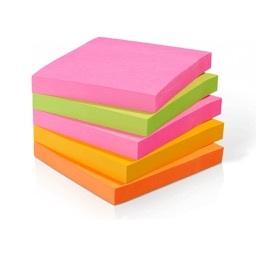 Do you find the need for sticky notes but there are too many of them to keep track of? 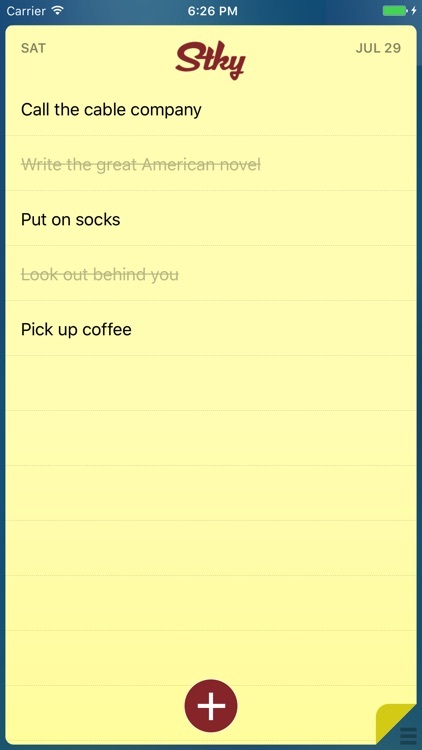 The To-Do Notes app can assist you in many ways! 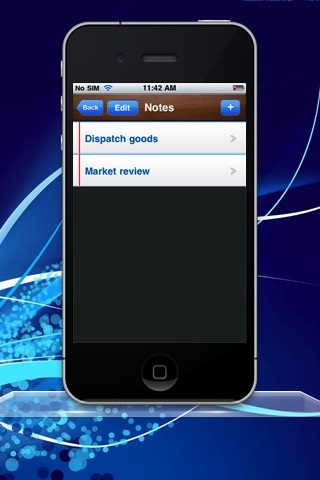 is an intuitive, simple and easy to use to-do list for iPhone. 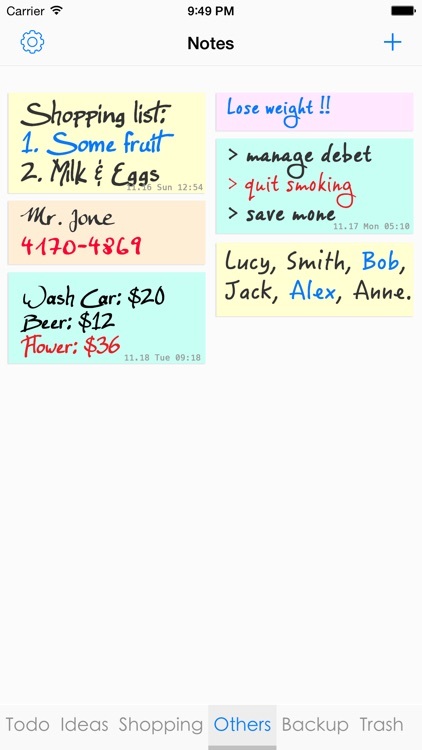 - Interface similar to real board and sticky notes. 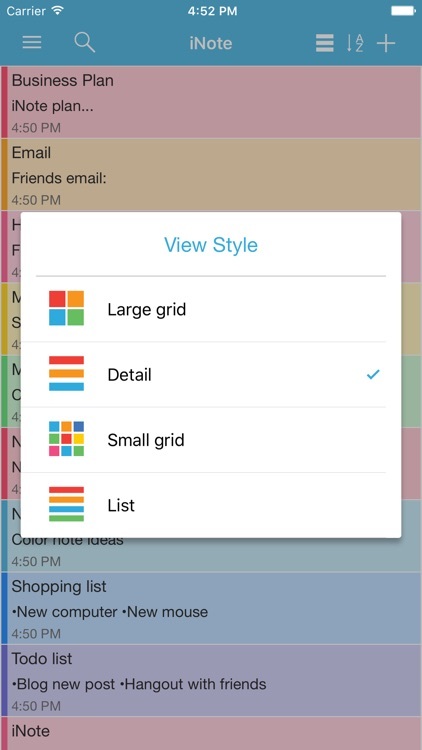 Create new lists and choose colors and categories so you can easily find them later. 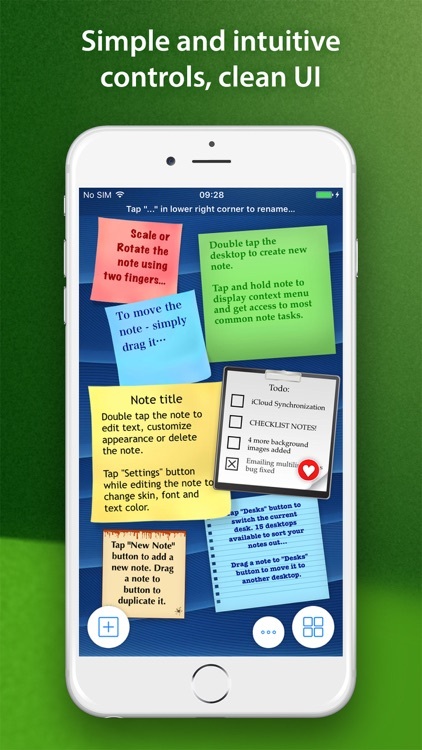 iNote Pro HD is a simple and quick sticky notepad app. 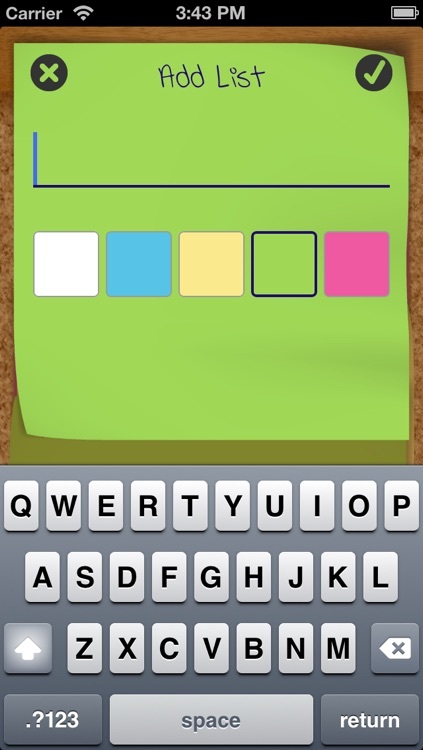 This helps you organize your notes, memos, messages, emails, shopping lists, check lists and to-do lists by COLOR. 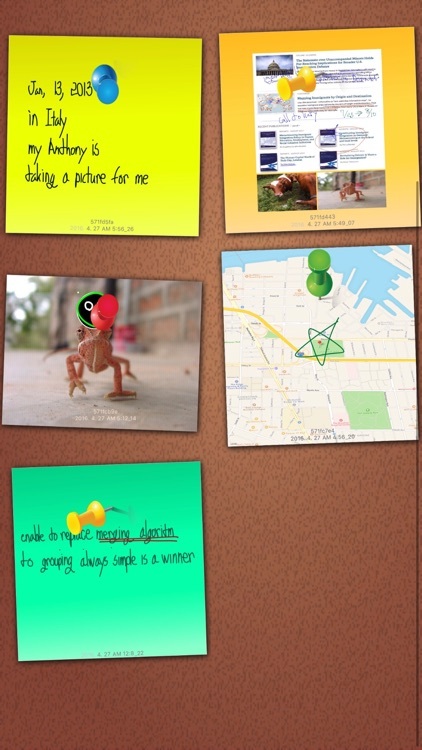 Taking color notes with iNote is never easier than before. 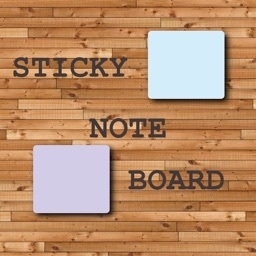 Sticky Notes for iOS is the easiest way to take quick, categorized notes! 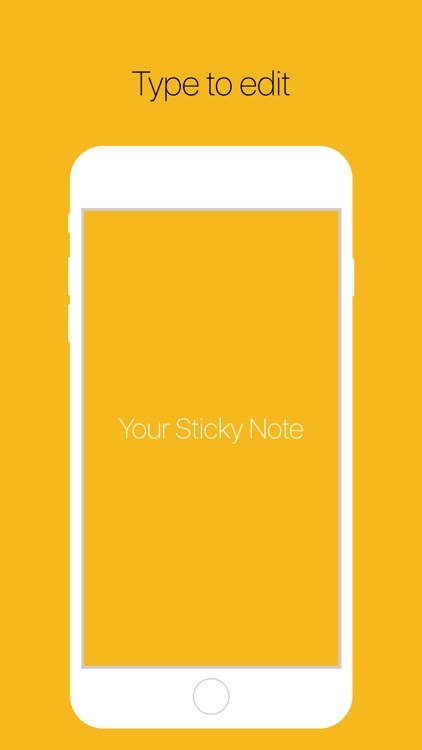 Would you like to use one sticky app that handles all your sticky notes together free from hassle and painful navigation that requires you to have a rocket science degree to understand? 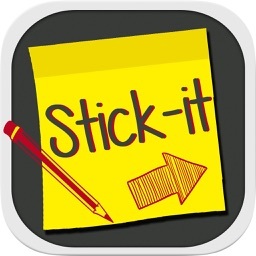 If so, this app is the right choice for you as it provides a simple, yet powerful navigating interface while helping you create an organized list of sticky notes that will make your friends jealous instantly! 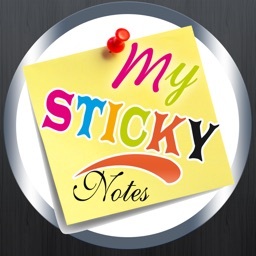 Grab this app for today and discover how easy it is to handle sticky notes on your device. 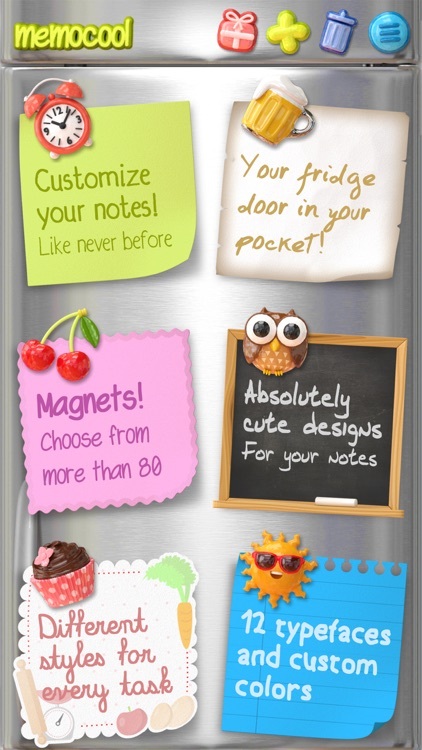 Tired of clicking photographs of your sticky notes individually? 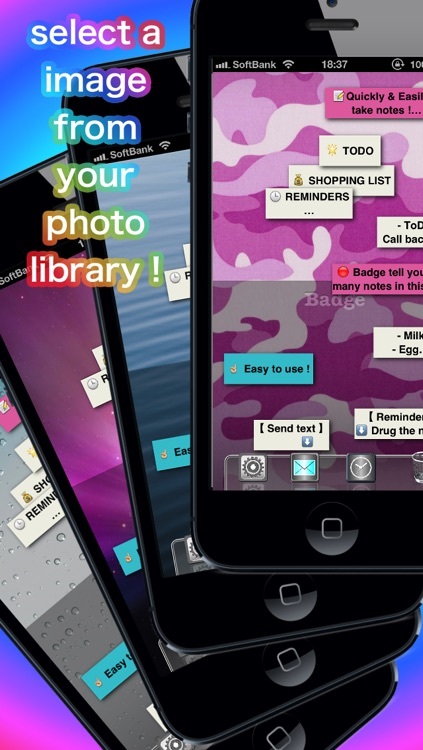 We have a better solution, you click a photo with multiple sticky notes and we slice them for you. 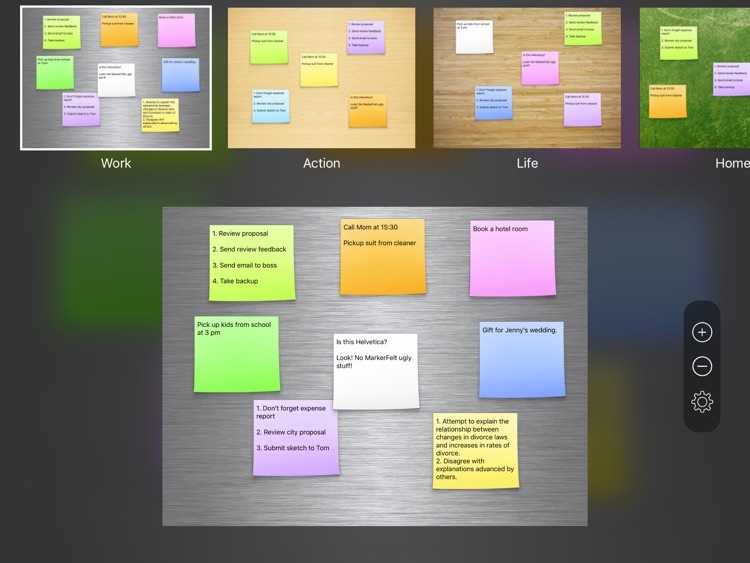 Be it your Agile workshop or be it your desk with tons of sticky notes. We have got you covered. 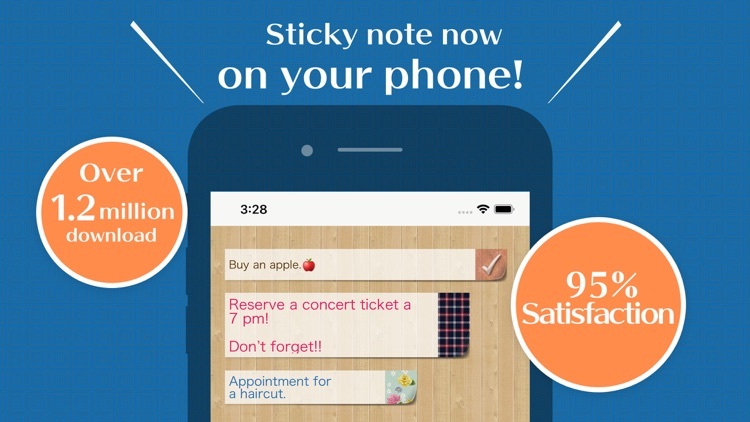 Create a sticky note reminder for your Notification Center with one tap. No images or settings required. For that ONE thing you just can't forget! 1. 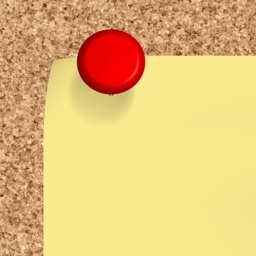 Open the Notification Center by swiping down from the top of the screen. 2. 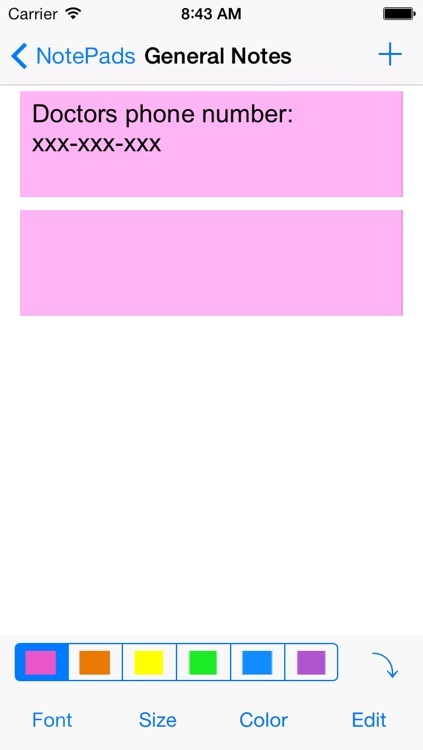 Scroll to the bottom and tap on the Edit button. 3. 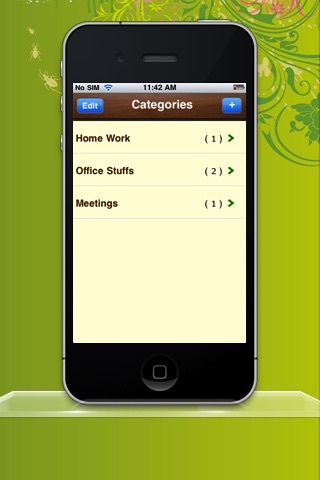 Find Quicky Sticky in the list of apps, and click the green "+" sign to add it. 4. 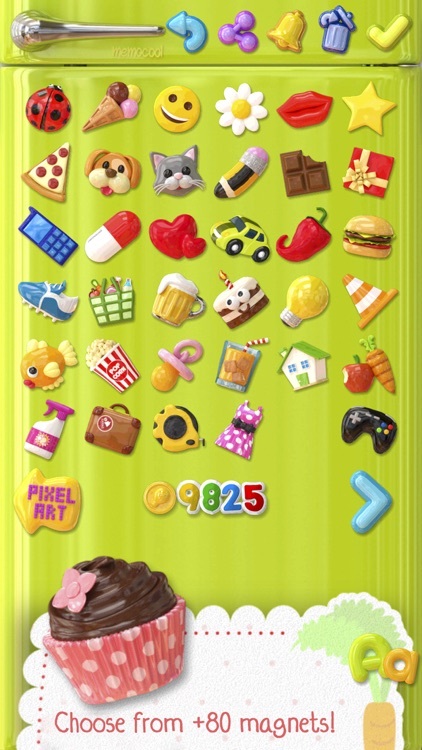 Tap the Done button to save. 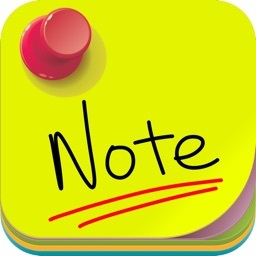 This notepad app gives you the quickest and simplest way to take and edit notes weither it's memos, e-mails, messages, shopping lists and to-do lists. Serving as a simple word processing program, the text option allows for as many characters as you're willing to type. 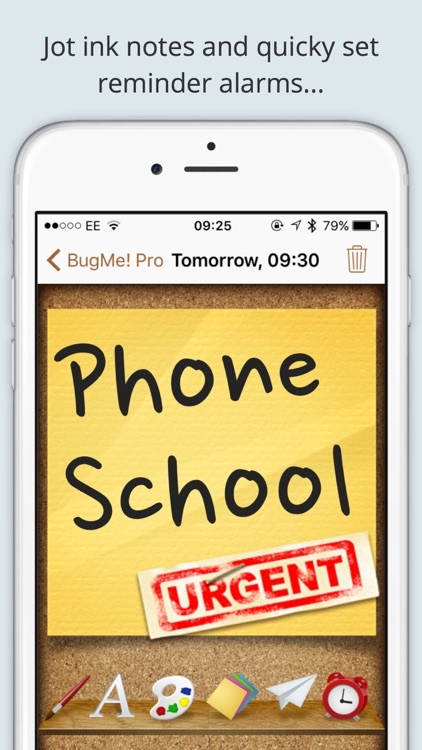 Once saved, you can edit, share, set a reminder, or check off or delete the note through your device's menu button. 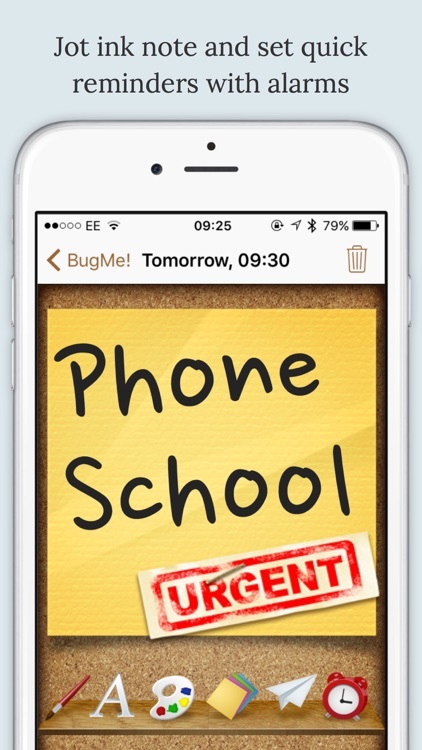 When checking off a text note, the app places a slash through the list's title, and this will be displayed on the main menu. In the checklist mode, you can add as many items as you'd like and arrange their order with drag buttons activated in the edit mode. After the list is finished and saved, you may check or uncheck each line on your list with a quick tap, which will toggle a line slash. If all items have been checked, then the list's title is slashed as well. No notepad, no dairy, no piles of paper required to remember important things. 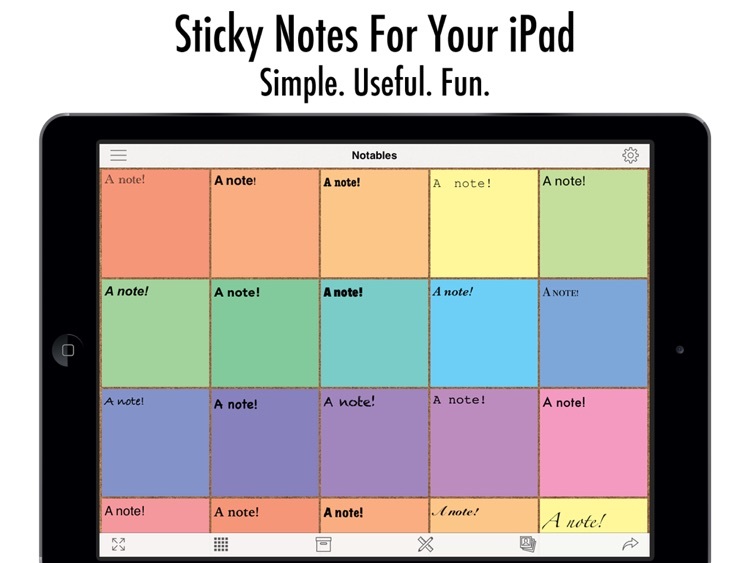 Now we can have all at one platform only, using ‘STICKY NOTES’. 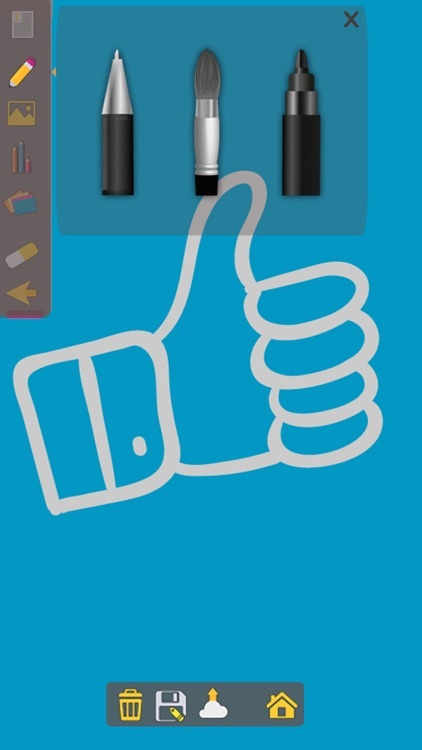 The application brings you the flexibility to keep all your important things with your device. 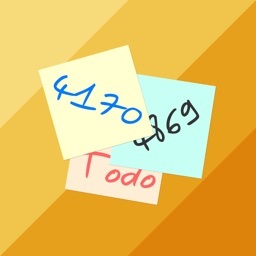 Sticky Note is a lightweight app to create simple reminders for future tasks. 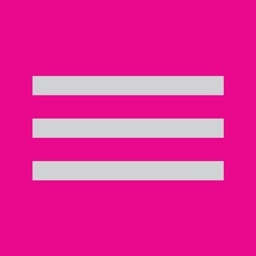 Notification is given via status bar, sound alerts, etc. 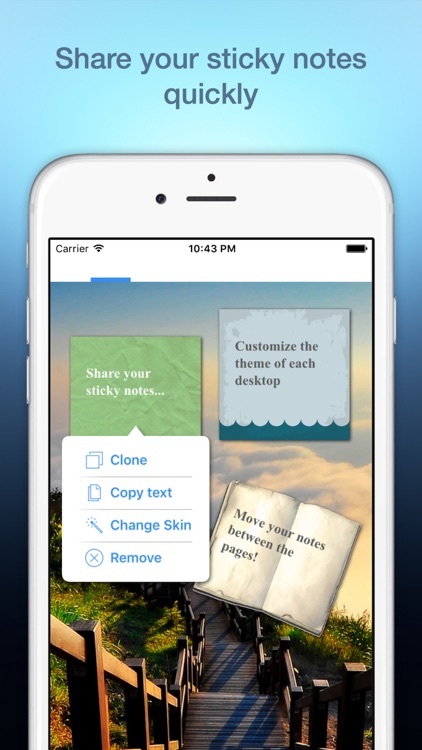 •You can enter any type of note that will stick to the application’s home page. 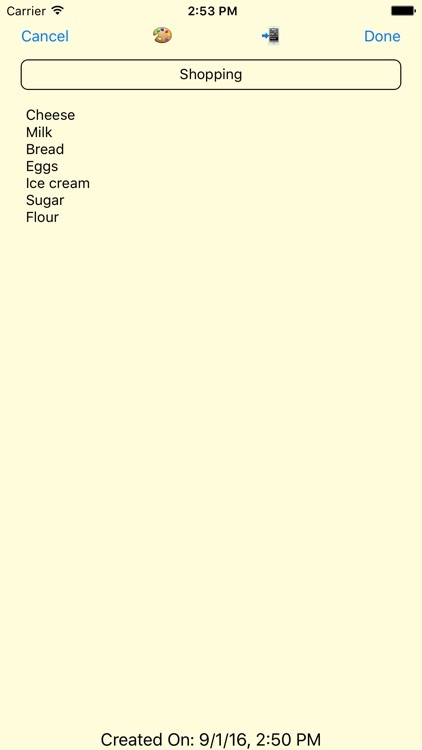 •User is provided with an option to mark done or cancel the note. 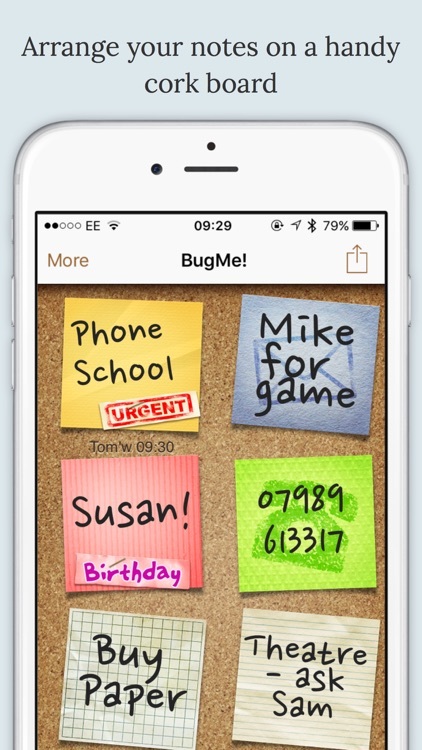 •The sticky note can be set for a particular date or time. •The capability to set a reminder helps you to get an alert before important events. 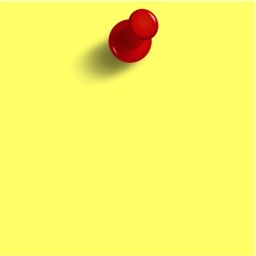 •Once the time is passed the color of the note changes from yellow to red so as to differ it from the existing ones. 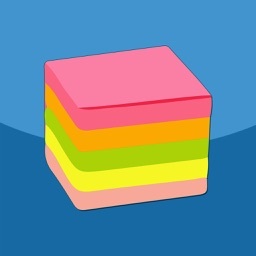 •The pending and past sticky notes are differentiated by partitioning them into due and done list. The due list comprises of all the notes that are still pending whereas the done list has all the notes which are either marked done or has their dates passed. 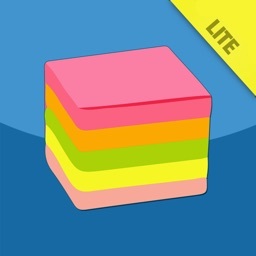 •The sticky notes can be deleted or removed from the application’s wall. 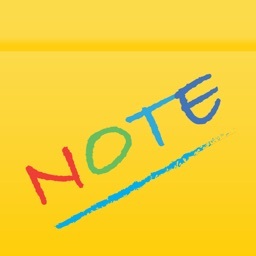 This action sends the note to the list of achieved notes. 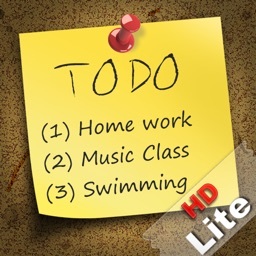 •The achieved note can be reset to some other date or time or can be deleted permanently. •The filtering of the notes can be done on the basis of four tabs i.e. today, this week, this month and all. 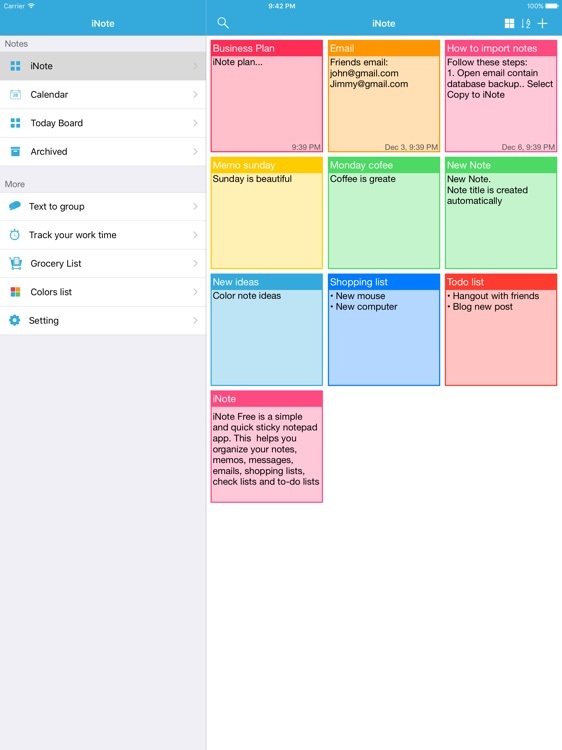 These features help you to get your life an easy approach to remember the important tasks and scheduled work. 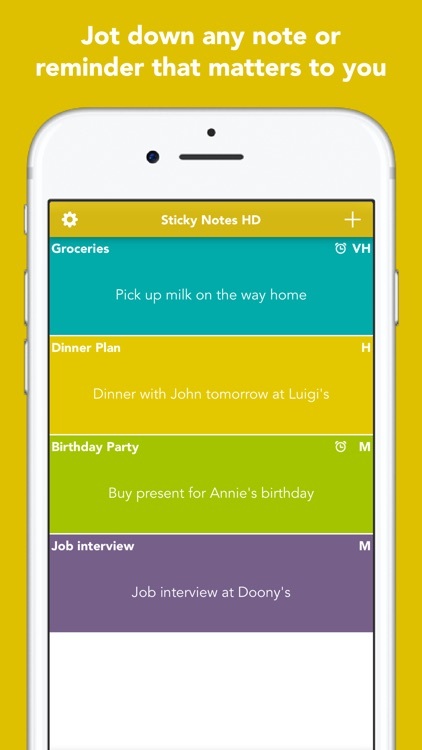 Now with STICKY NOTES, you can easily create a reminder for your daily tasks, and forget about them. When time comes, STICKY NOTES will remind you. 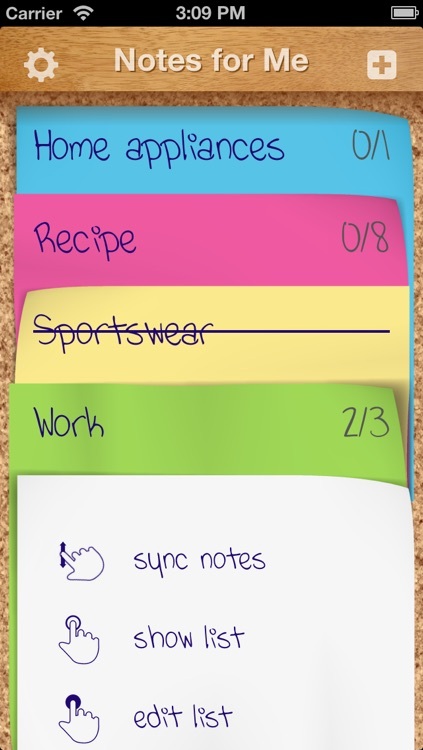 With STICKY NOTES, you can quickly set up all kind of reminders.